Mat classes : precise exercices aiming to work flexibility starting the movements from the center of the body. Small accesories are used to tone the body (magic circle, foam rollers,elastics…). 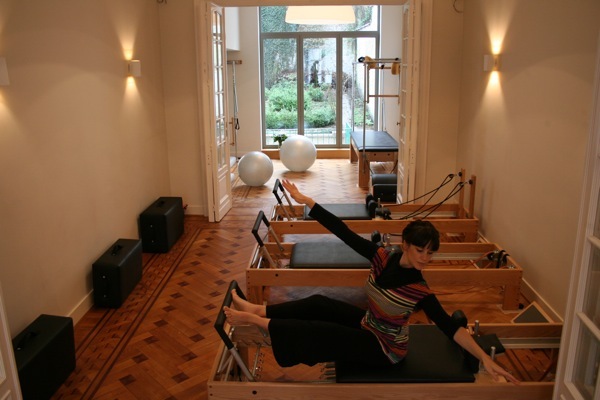 Reformer classes : wooden apparatus with springs, designed to work muscular resistance building strength without excess bulk, creating a sleek, toned body. Ball classes : the ball is an unstable base of support : it recruits many of the body’s deep, stabilizing muscles. Training deep postural muscles, it heightens proprioception. 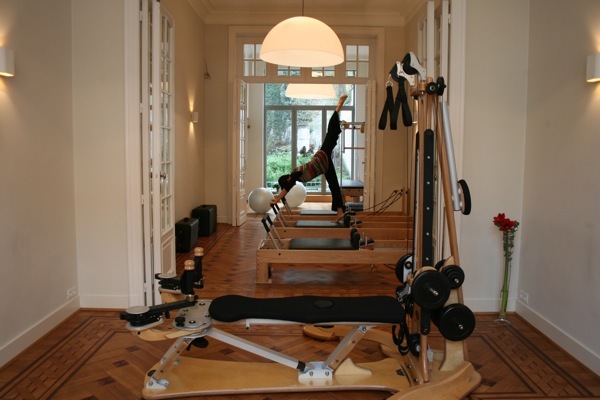 Duos classes : work with another person of your same level with a teacheron one or more Pilates machines. 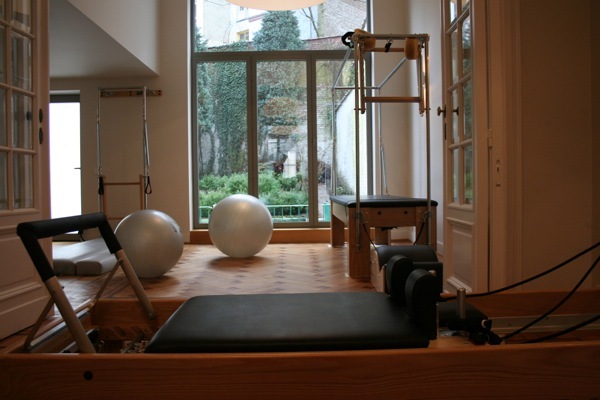 The Pilates method includes more than 500 exercices that can be done on the mat, with a swiss ball, the power corcle, the roller etc... The Reformer has a suspention system where an istable surface is created to increase muscles endurance.It's a holistic gymnastic that demands concentration.